The above plan would divide the payments into three, the first payment shall be at 50% and the second and third payments shall be at 25% each. 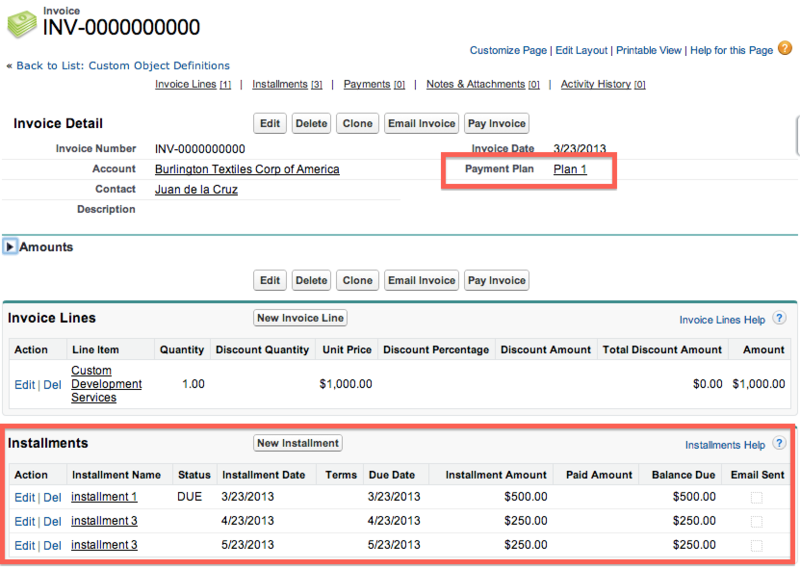 TIP: When a change is made to the invoice while in the middle of the installment (for instance a discount is given), paid installments will remain as they are, but open installments will be redone based on the new invoice balance. 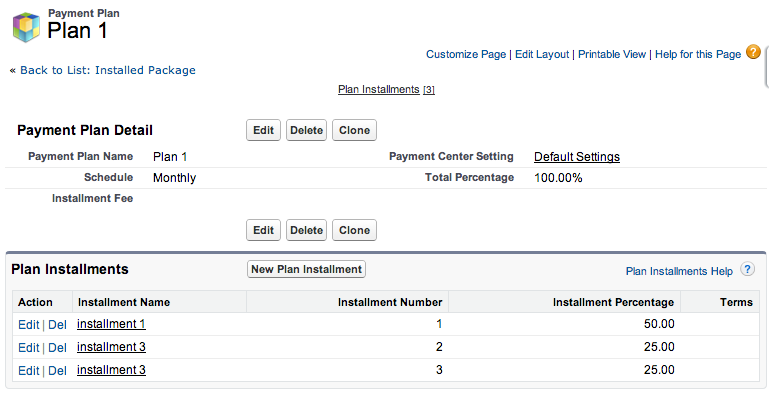 If you don’t want the open installments to be redone, instead keep the open installments as they are but change the amounts to reflect the new balance, check the setting called Redistribute Installments Equally in Payment Center Settings.